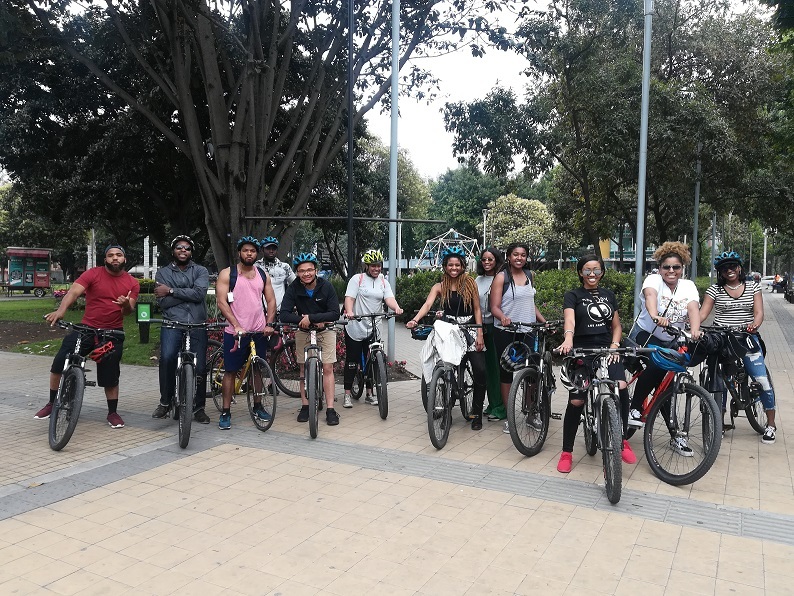 Enjoy a 4 hour bike ride around some of the most beautiful areas in the modern part of Bogotá: Usaquén, Parque 93, Virrey Park, Zona Rosa and Simon Bolivar Park. Your local guide will be waiting for you at 10am at the meeting point in Parque 93, a beautiful park surrounded by restaurants and bars in a modern business district and one of the most exclusive neighborhoods in the north part of Bogotá. From here we’ll take Bogota’s exclusive bike lanes and head towards Virrey Park, Zona Rosa and Simon Bolivar Park, visiting other city’s landmarks on the way. After this we’ll head towards Usaquén, a charming neighborhood that still keeps its colonial style and has some of the best restaurants in town. Here we’ll visit Usaquén’s main square and learn about this neighborhoods history and appreciate its colonial architecture. 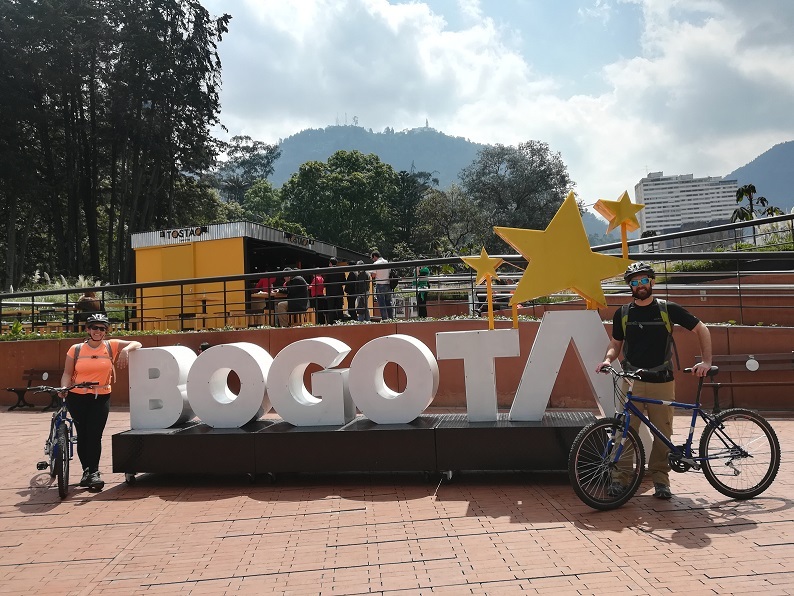 Enjoy a ride through Bogotá’s exclusive bike lanes visiting Usaquén, Parque 93, Virrey Park, Zona Rosa and Simon Bolivar Park, some of the best areas in the modern part of Bogotá. Tour available from Monday to Sunday. Meeting point: Juan Valdez Parque 93 (Calle 93A #11-60) at 10am. 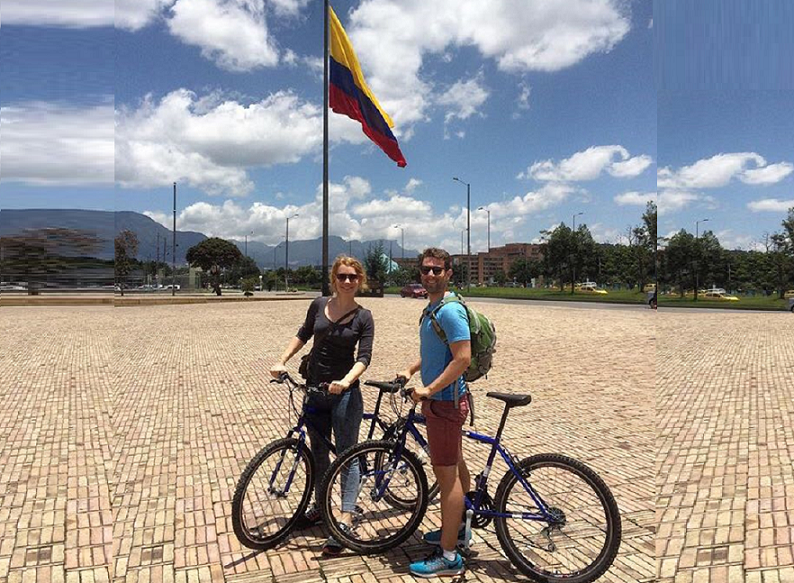 Bogota Bike Tour Most Popular!